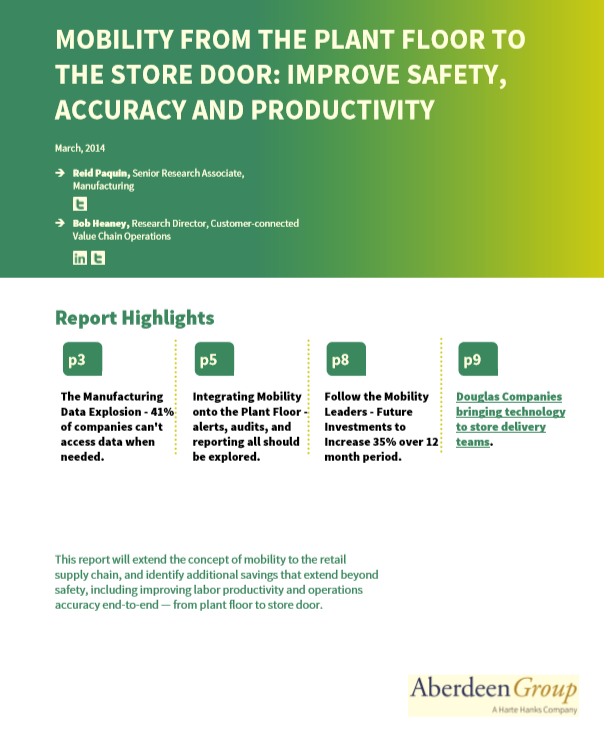 Aberdeen conducted a study of over 170 manufacturers on their mobile operations, their Environment, Health, and Safety (EH&S) strategy and the ways they have successfully overcome the challenges they face. Mobility can be a powerful tool in the right hands. It saves operator time and bolsters labor productivity, provides a system of record with one-to-one accuracy verification, and limits incidents by granting employees access to data in real-time. Technology has given us the capability to access information in unprecedented ways, so it’s ironic that data from manufacturing and the extended supply chain remains trapped and siloed. However, there is more to a mobile initiative than giving an employee a mobile device and sending him on his way: he must have access to the right tools, and you must focus on the right areas of EH&S to get the most out of your efforts. Please enter your contact details to Download the Full Report, Name and Email Address are Required.